Traveling south on Highway 29 thru Hope, Arkansas, the intersection at South Main Street marks the end of the four-lane bypass. Four lanes of traffic (two each direction) navigate the traffic light, but about a hundred yards south of Main Street the right lane is forced to merge and Highway 29 continues south as a two-lane road. Knowing this, I usually make a point of entering the intersection in the left lane. Otherwise, I would have to battle the left lane traffic to merge before the right lane disappears. Approaching the intersection yesterday morning, I observed three cars awaiting the light change in the left lane while the right lane was empty. So, I moved to the right lane while gently applying the brake. I carefully timed the deceleration so my car was still slowly moving when the light changed to green. I promptly accelerated past the motionless line of cars in the left lane and merged back over. As I accelerated back to speed, I felt the initial forward surge of power smoothly taper off as I gently reduced pressure on the accelerator. I smiled, thinking of canter departures. That is…it feels good when it is smooth…and under control. Power can feel pretty awkward…even frightening…and not at all smooth…when out of control. With the car, my mind works in concert with my body to operate the mechanical controls on the car. Unless the car is broken, it responds the same way every time. There is only one mind and one will involved in the speed control process. With a horse it’s different. Asking Knockout for a canter departure, I gently squeeze my legs applying pressure similar to the pressure applied to an automobile accelerator. If Knockout is alert and ready for the cue, he promptly responds with a forward surge of power. And, similar to accelerating a car, I have to gauge the acceleration against my desired speed to smoothly transition. Riding a horse, though, involves another mind and will…requiring another level of communication. It’s not just mechanical linkage. I have to communicate to Knockout what I want him to do, and Knockout has to figure out what I want in order to respond appropriately. Sometimes, Knockout isn’t paying close attention. Sometimes, we’re plodding along in a relaxed state and my cue to canter sort of catches Knockout by surprise. So, there’s this brief hesitation as Knockout realizes I’ve asked him to change gaits. So, after the momentary delay we get this forward surge of power…but Knockout doesn’t yet know what speed we’re aiming for. Do I want a trot, a lope, a canter, or a gallop? Because, I use pretty much the same cue for all of them…the only difference is level of pressure and how long the pressure is held. So, Knockout is surging forward in response to pressure from my legs…but because of the brief hesitation I have already applied more pressure longer awaiting his response…so now my timing is off. If I drop pressure too quick I’ll get a trot…hold it too long and I’ll get an all-out gallop. So, I try to time it right to drop into an easy lope…and sometimes we miss. Sometimes, we drop into a trot and I ask for more. Sometimes, we spring into a full gallop and I ask him to back off. Sometimes, it is not at all smooth…sometimes I experience a moment of alarm wondering how fast a speed we’re headed for and whether I can ride it. See, riding a horse is really more like back-seat-driving rather than driving a car. I don’t directly control the horse’s feet. I communicate with the horse and the horse controls his feet. The control is one step removed and we are always only one potential miscommunication away from an error. It’s a bit like teaching a beginner driver…instructing their stops, starts and turns…while hoping they fully understand and promptly do what you ask…and knowing it will rarely be as smooth as you’ve envisioned. I try to imagine navigating that South Main intersection around a stopped line of cars in the left lane with a student driver. I try to think thru how I might try to time my verbal instructions to start slowing early as though stopping…but try to go slow enough that we don’t have to actually stop…to watch the traffic light to time it so we reach the intersection just as the light changes…to accelerate past the line of stopped cars before they get moving…to accelerate smoothly without punching the gas…yet quickly enough to get ahead of the line of cars…to gently ease off the accelerator while simultaneously merging over before the lane ends. I simply cannot imagine attempting that maneuver with a student driver. It just requires too high a level of clear communication with precise timing. With a student driver in that situation, I would simply instruct him to stop at the traffic light in the left lane. Then I consider what it would be like trying that maneuver as a student driver…trying to time everything just right when I don’t even know what the next step is or what goal we are shooting for. I try to imagine relying completely on a driving instructor’s step-by-step verbal direction to manage that maneuver with smooth precision. No way! Yet, this is what I ask of my horse on a regular basis. This is both the thrill and the terror of riding a horse. It’s more about clear communication than it is about control…because I am never truly in control. I see riding a horse with confidence as a combination of striving to communicate clearly, while embracing the lack of control, yet confidently trusting the partnership. I have to realize that miscommunications and mistakes will happen. I have to accept that things will not always go as planned. Yet, I have to trust that Knockout and I will get it worked out. When we make mistakes, we will adjust, make corrections, and improve. Over the years, I’ve come to view life from a similar perspective. There was a time I saw life as more direct cause and effect. If I made good decisions then good things would result. If I did things God’s way, God would bless my life. Follow the rules and good things would follow. When bad things threatened to happen, I would double-down to figure out what I was doing wrong and correct it…or I would work harder to do things right so the issue would be resolved. Of course, this view is really just a way of trying to establish control. It assumes I can keep bad things from happening if I just do the right things. It is a legalistic mindset that assumes control of outcome can be governed by following a rigid set of rules. The back side of that assumption is that anyone experiencing bad things must be assumed to have not done the right things well enough. Because, if they did all the right things and still experienced a bad outcome…then the same could happen to me…which means I would have no control at all…which is (for many people…including myself at one time) simply too scary to even contemplate. 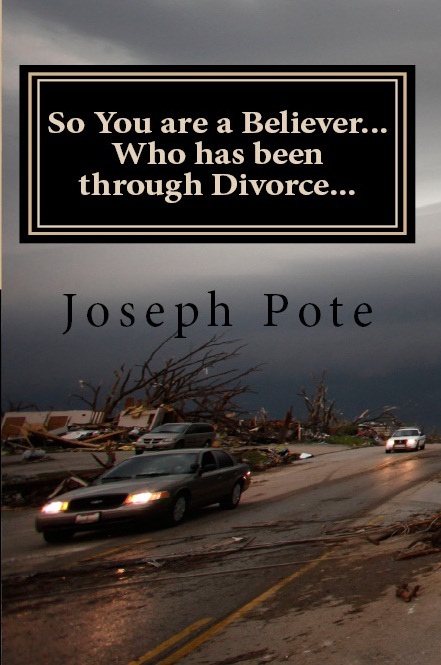 As an example, look how many books, sermons, and videos are available on the topic of how to divorce proof your marriage or how to raise successful children. People want to believe they can control the outcome by simply doing all the right things. The problem is it’s not true. No matter how well one follows the rules, bad things can still happen. We simply do not have that much control. In fact, we are never truly in control. At any moment some major life-changing event could happen that is completely unrelated to anything I did or did not do. I now view life more like how I view riding a horse. I strive to communicate clearly, while embracing the lack of control, yet confidently trusting the partnership. I strive to actively listen to The Holy Spirit while clearly voicing my concerns and needs. I realize I won’t do everything right…that mistakes will happen. I also realize bad things will happen that have nothing to do with anything I did or did not do. Yet, I trust God’s faithfulness as He works His will and purpose for my good. I trust Him to work with me thru the many miscommunications, folding my mistakes right into His plan. I trust God’s power to be far greater than my mistakes or any evil that may befall me. Thank you, Father, for your faithfulness!